I will be speaking to Rebecca Dmytryk co-owner with her husband, Duane Titus, of the Humane Wildlife Control, which provides sound, ethical and lasting solutions to wildlife problems. Rebecca is also the founder and director of a nonprofit, National Association for Wildlife Emergency Services and is the author of the book, Wildlife Search and Rescue: A Guide for First Responders. 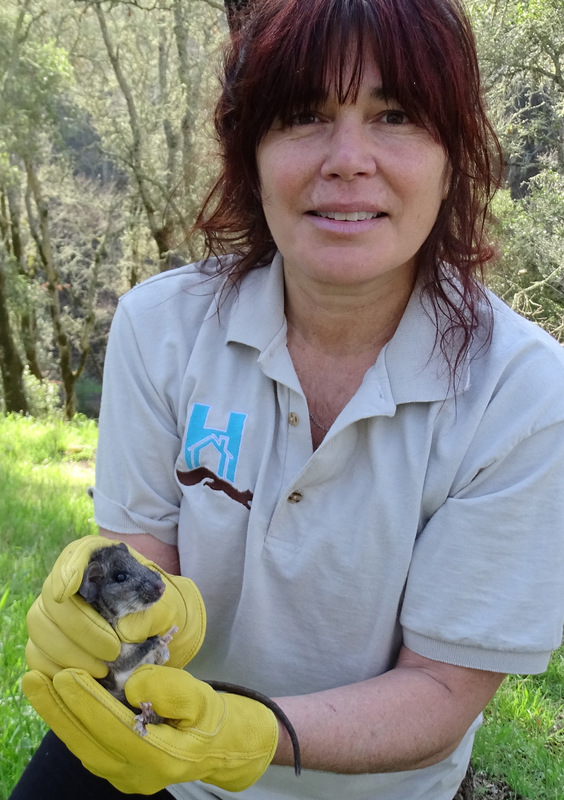 Rebecca holding a Dusky-footed Wood Rat which is endangered.